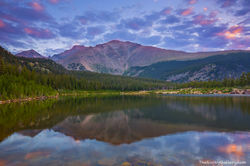 Rocky Mountain National Park is one of the great jewels of the United States and Colorado. 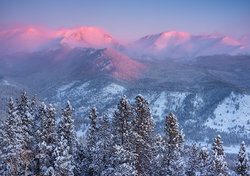 Rocky Mountain National Park is the location of Colorado's northernmost 'fourteener', Longs Peak. 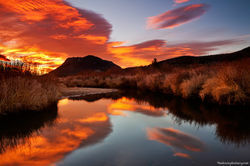 Also located in Rocky Mountain National Park are the headwaters to the Colorado River where it begins its long journey southward towards the Grand Canyon and eventually the Gulf of California. 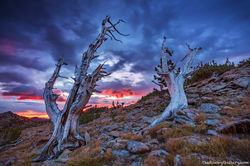 The nations highest continuous paved road,Trail Ridge Road which tops out at 12,183 ft above sea level offers even casual visitors a true alpine experience. 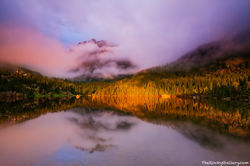 In these galleries you will find the images of Rocky Mountain National Park by photographer Thomas Mangan. 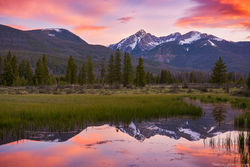 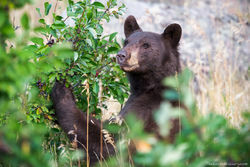 From the beautiful alpine locations of Bear Lake and Glacier Gorge , to golden Aspen covered hillsides meadows and parks. 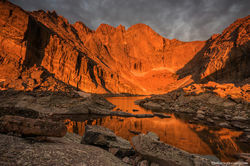 Adventurous visitors to Rocky will quickly find peace and solitude in lesser visited areas of Rocky such as the Mummy Range and Wild Basin areas. 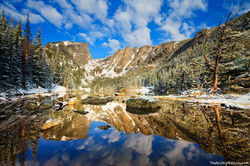 Rocky Mountain National Park presents the visitor with seemingly endless wonder and natural beauty.